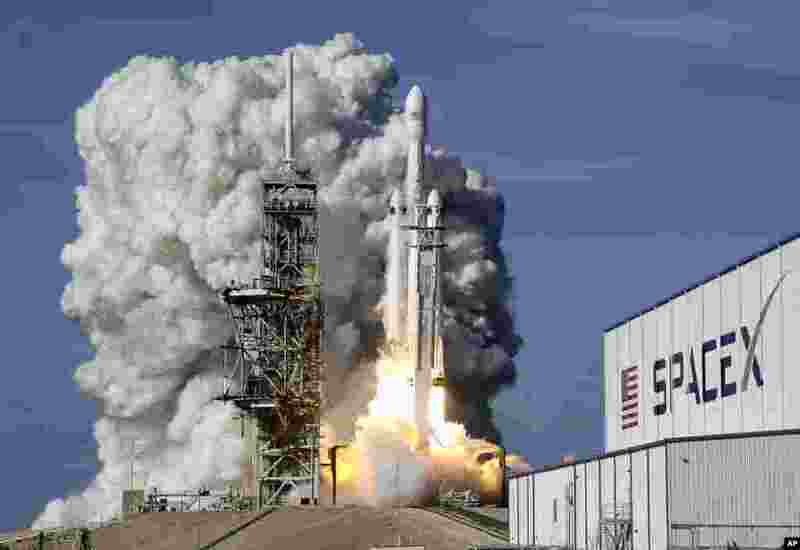 1 A Falcon 9 SpaceX Heavy rocket lifts off from pad 39A at the Kennedy Space Center in Cape Canaveral, Florida, Feb. 6, 2018. 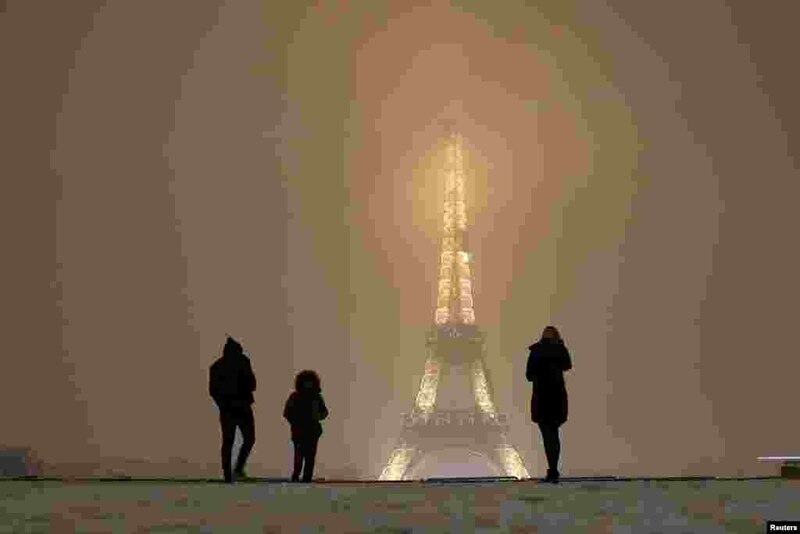 2 Tourists walk on a snow-covered path near the Eiffel Tower in Paris, as winter weather with snow and freezing temperatures arrive in France, Feb. 6, 2018. 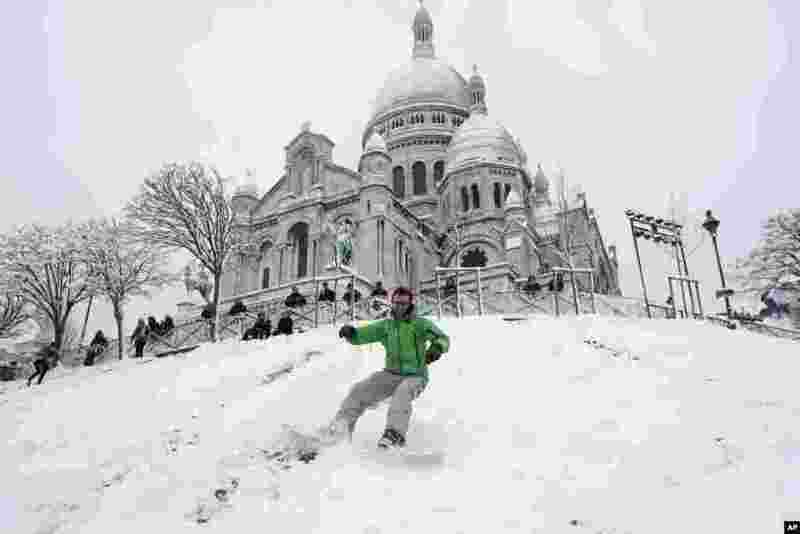 3 Geoffrey, 32, rides his snowboard down the Montmartre hill, with the Sacre Coeur Basilica in background in Paris, France. 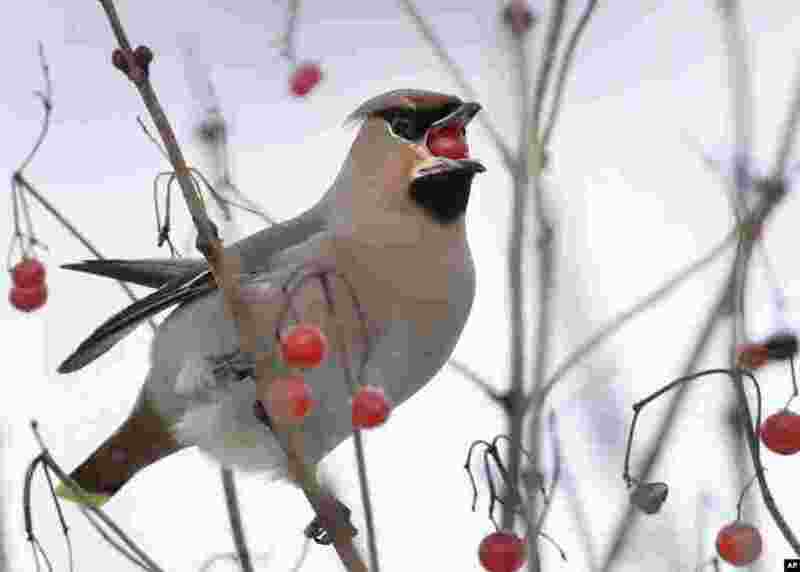 4 A waxwing eats berries of the viburnum in the village of Karpavichi, some 60 km (37 miles) north-west of Minsk, Belarus, Feb. 6, 2018.